Viktor Horváth – is a Hungarian writer born in 1962 in Pécs. He translates from English, German and Spanish. 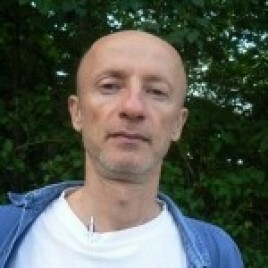 Having received his Ph.D. in 2006, he currently works at the University of Pécs. He gives lectures on the theory and structure of poetry as well as on the history of form in the Middle Ages. He was the laureate of the European Prize for Literature in 2012. Critics have appreciated his novel Török tükör (Turkish Mirror), the plot of which takes place in the 16th century on the territory of today’s Hungary.